You don’t have to be a longtime Porsche driver to know what these vehicles offer. They give you a driving experience full of excitement, high performance, dependability, and comfort. Combine a Porsche’s features and capabilities with the benefits of a lease, and you have yourself a dream car. 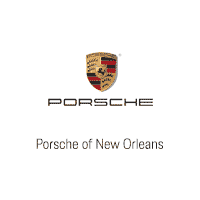 This is why Marrero, LA, customers continue to take advantage of a Porsche Macan lease. It’s time for you to see what all the fuss is about and get into one today. If you don’t think you can afford a Porsche, you may want to revisit the idea. With a Porsche Macan lease, you’ll get a lower interest rate than you would if you were to purchase the vehicle. Lease rates can hover around 2 percent, while you’d find loan rates to be two or more points higher. Plus, leases don’t usually require as much in the way of a down payment, so you can keep more of your hard-earned cash. Perhaps best of all: You’ll pay less for each monthly payment. Repairs are part of the life of a vehicle. The good news with a lease, however, is that the warranty should cover just about any issue you’ll encounter as you drive your Porsche in and around Marrero, LA. It’ll be important to keep up on maintenance, but the best dealerships will even cover or at least help you out with some of these services. When it comes to an SUV, you won’t easily find a model to match what the Macan brings to the road. Take advantage of a Porsche Macan lease, and you’ll have your choice of five different options: the S, GTS, Turbo, Sport, and Turbo with Performance. Each of these models seats five people, has all-wheel drive, and has seven-speed automated manual transmission. You expect more out of a Porsche as you drive in Marrero, LA, and the Macan won’t disappoint. The Turbo with Performance version has a 3.6-liter, 24-valve, V6 DOHC engine. It puts out 442 pound-feet of torque at 1,500 rpm and 440 horsepower at 6,000 rpm. It also has variable valve timing and a turning circle of 39.2 feet. When it’s time for a thrilling, luxurious SUV to drive in Marrero, LA, check out a Porsche Macan lease. Then, come and visit with the sales team at Ray Brandt Porsche.